If you’re in charge of the turkey this Thanksgiving, here’s a quick and easy way to make it perfect for the big debut at the table: truss it. With just a few twists of cooking string, you can create a bind that prevents overcooking and gives your turkey that perfect shape worthy of the cover of a food magazine. 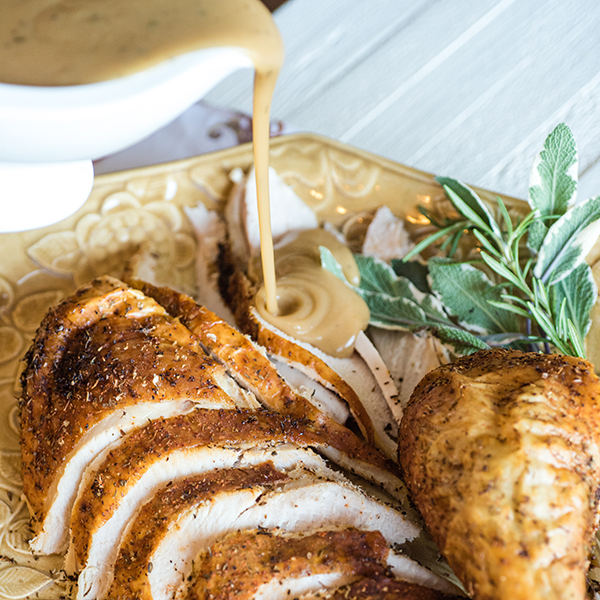 It’s easier than you think; just follow these turkey trussing how-tos from our test kitchen. 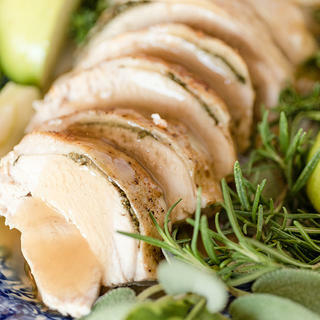 Start with a thawed turkey. The last thing you want is a frozen turkey on Thanksgiving morning, so be sure to give your turkey the proper amount of time it takes to thaw safely in the refrigerator. 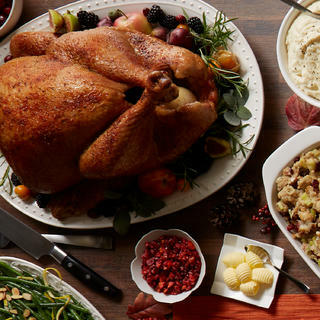 Generally speaking, plan for one day of thawing a turkey for every four pounds of turkey. Add your aromatics and stuffing. Before you truss it, stuff it. Whether you’re doing a combination of fresh herbs, onions and apples, or your great-grandma’s famous cornbread stuffing, place it in the cavity of the bird before you tie up the legs. Move the wings so that they’re tucked behind the turkey. This not only provides a nice stable base for the whole turkey, it also prevents the tips of the wings from overcooking. Plus it can help cover the neck opening and prevent stuffing from spilling out. Using kitchen or butcher string, crisscross the string over the legs. Then, bring the string down under each leg’s side, pull it tight, back up over the top and tie a knot. Season and brush with oil. The final step before the oven is to season the turkey. 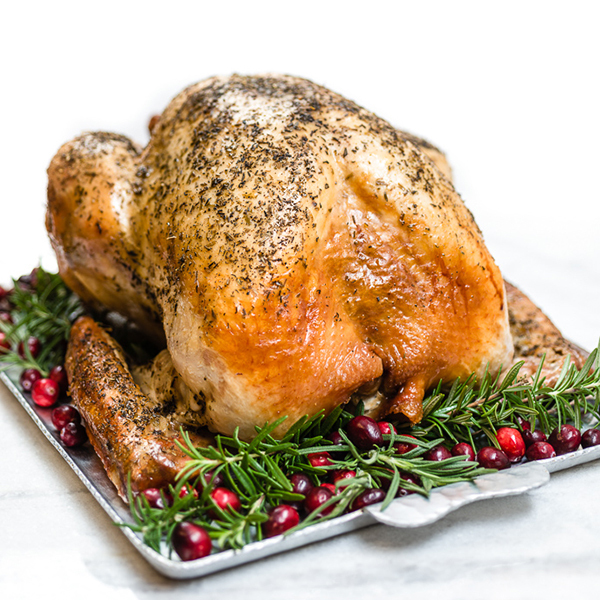 There are about a million ways to season your turkey, from dry brines to herb compound butter to the basic olive oil, salt and pepper. Do this as your last step before placing the turkey in the oven. 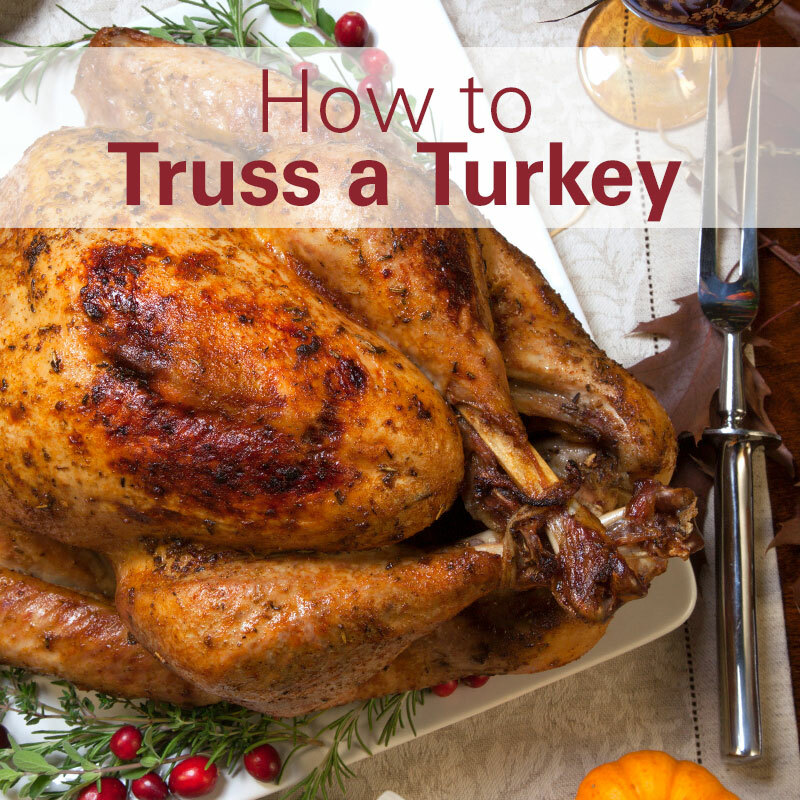 While trussing is not necessary, it can help it cook evenly and holds in juices. It also gives it that shape that will have your guests oohing and ahhing when you bring it to the table. 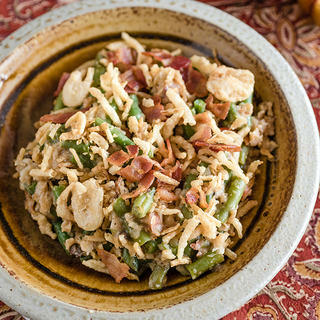 Give it a try on this year’s turkey and see for yourself just how easy it is to do.